Designed to handle all conventional cars, SUVs, and light duty trucks, including dually's. Our self service recreational equipment bay is OVERSIZED to handle trucks, larger boats, trailers and the largest RVs. 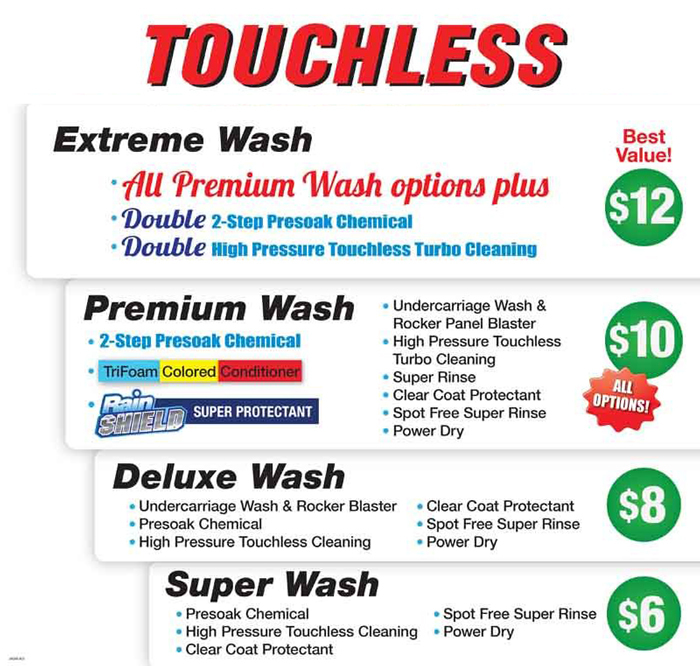 Wash services include extra high pressure with double wands and brushes to ensure coverage of your vehicle. Services include: Tire Cleaner, Pre-soak, Foaming Brush, High Pressure Soap, High Pressure Rinse, Clearcoat Protectant, & Spot Free Rinse. Spot remover, shampoo, and deodorizers available also! 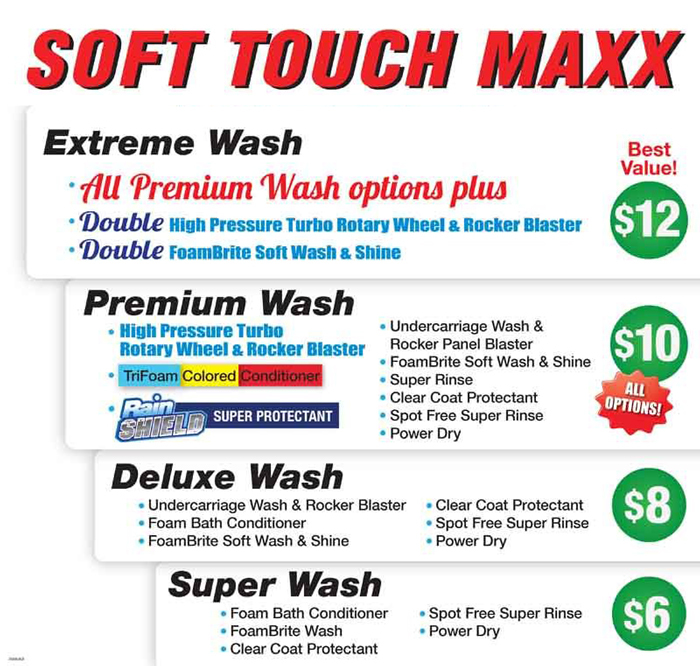 We gladly accept MC, VISA, Discover, and AMEX as well as our own Falcon Ridge Car Wash Discount Wash Cards.